Near Notre Dame Campus! Convenient for students, Alumni & everyone else! 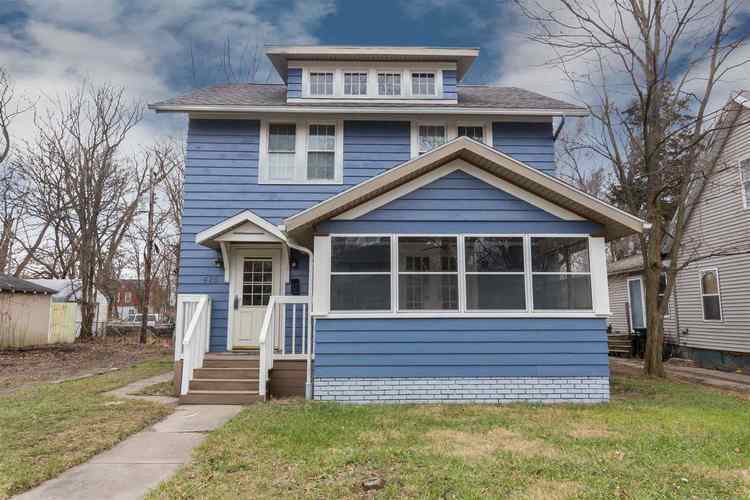 Must see this renovated, charming 2 story! Refinished hardwood floors & fresh paint throughout. New roof 2018. Easy-clean-tilt-in Vinyl windows installed 6-7 years ago! Eat-in kitchen w/tile floor, maple cabinets & all appliances (stove, refrigerator, dishwasher). Formal dining room. Living room w/quaint, corner fireplace, arched doorways plus french doors to enclosed 3 season porch w/(newer) storm windows, ceiling fan & electric outlets! 1/2 bath on 1st floor. 3 bedrooms w/good size closets. Main bath has tub/shower, built-in cabinets & ceramic tile floors. Full basement is freshly painted. City utilities. Washer, dryer are included. Newer storm and exterior doors. Alley access to 2 car garage - garage sold in "as is" condition. At this price seller will provide an HWA Home Warranty!